I have found the drop downs are usually the easiest things to break......sorry for your loss. For this reason, I normally buy them in multiples from dhgate. @VapeCritic Maybe you should do a glass experiment. Get 3 cheap Chinese pieces from DHGate (~$35 to $45). Get one nice and sturdy US piece that is similar (~$150 ?). See what lasts longer... 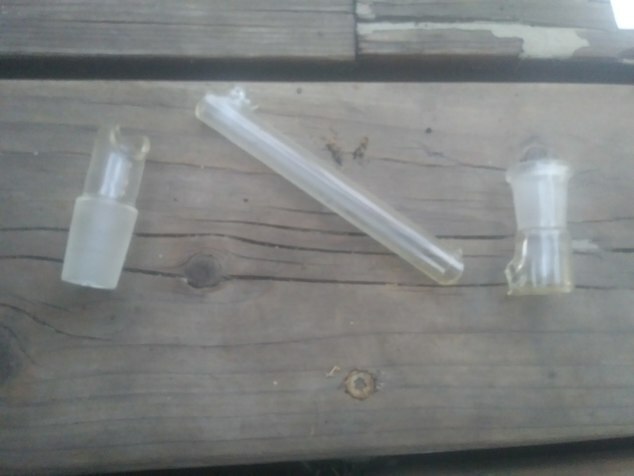 The 3 cheap Chinese pieces (all 3) or the one very nice US made piece. You may be pleasantly surprised on durability of better glass. I have been building up a glass collection for the last couple of years. My more expensive pieces have not broken. The lower cost chinese pieces are much more likely to break in my world.